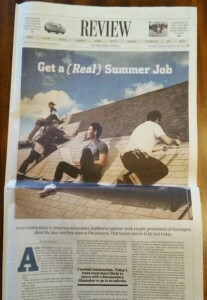 It was easy enough to blast past this essay with the title “Get a (Real) Summer Job.” Seemed not relevant but what the heck, might as well scan the byline and see who wrote the piece. Hang on… Really? Made us curious because that was a description we were not expecting for a piece that ended up being over 2300 words. 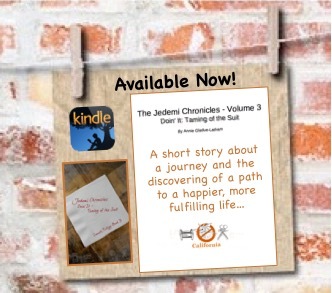 Mr. Shiflett posts his writing and original music at www.daveshiflett.com. Aha! A music reference. The last 8 paragraphs make more music references with the key notable quotable coming in the penultimate from a member of Jefferson Airplane, Jack Casady, who described his early jobs (He was a “paper-delivering prodigy” where he made “good money,” some of which was used to start a grass cutting business that paid for his first musical instruments.). Yup! There’s something that seems to get lost in translation. Work as a means to freedom — a great message hidden in an essay many would claim is TL:DR (Too Long; Didn’t Read). Again, that’s why we advocate allocating time on weekends and during the weekday to do reading / discovering / wandering around making serendipitous discoveries. If we were editing this piece, we’d pull the notable quotables up — in eye-grabbing areas. Be prepared and stay curious. Always!